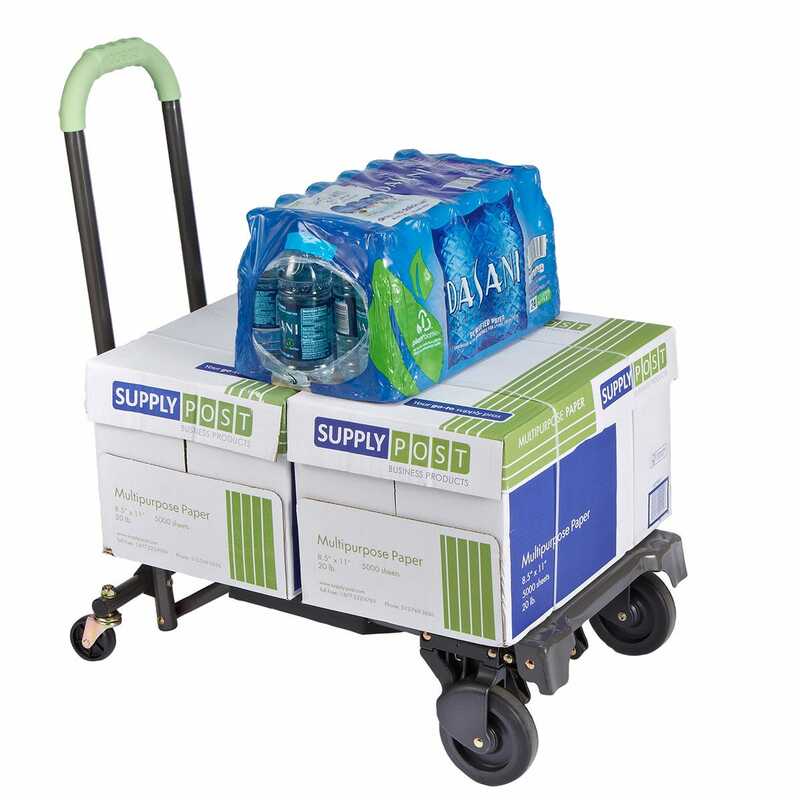 Go from a 4 wheeled handcart to a 2 wheeled hand truck in seconds! 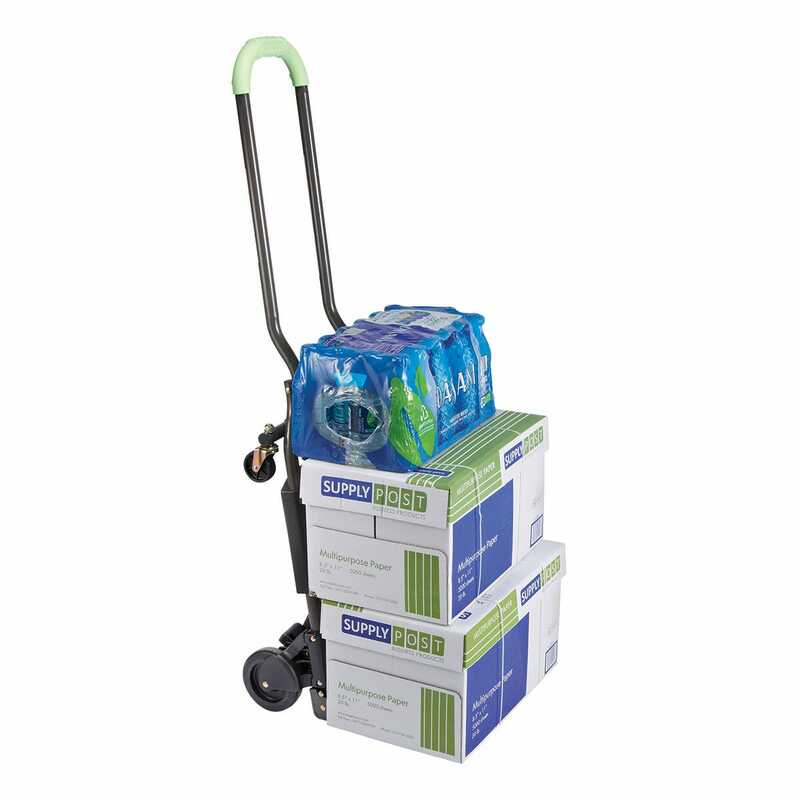 The heavy-duty 2-in-1 Folding Hand Truck/Cart moves heavy loads transforms with the flip of a handle. 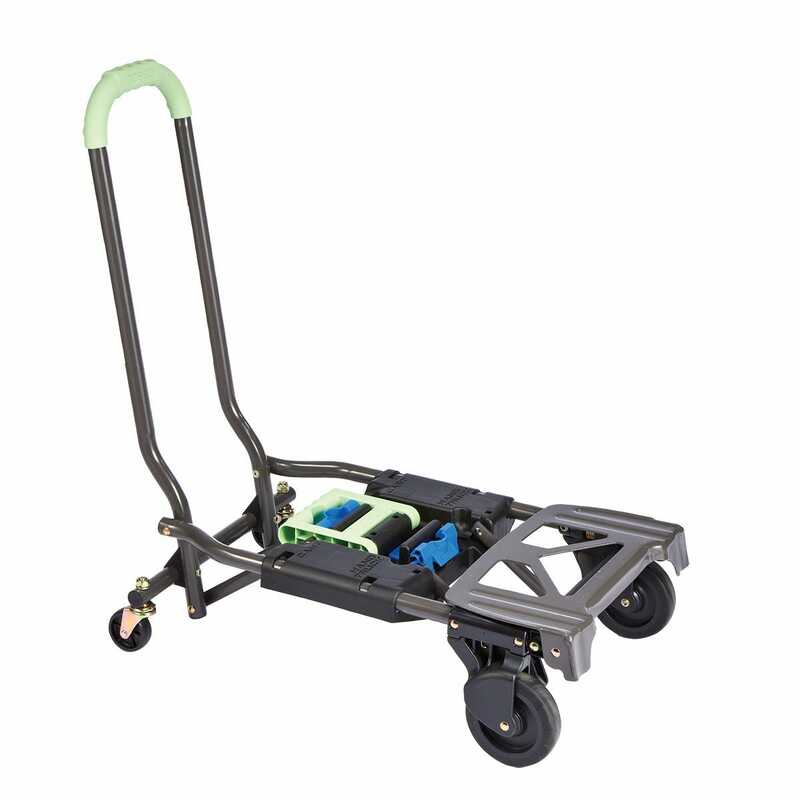 While in the handcart form the heavy duty steel frame offers a 300 lb load capacity and measures 24”l x 14”w x 20”h. 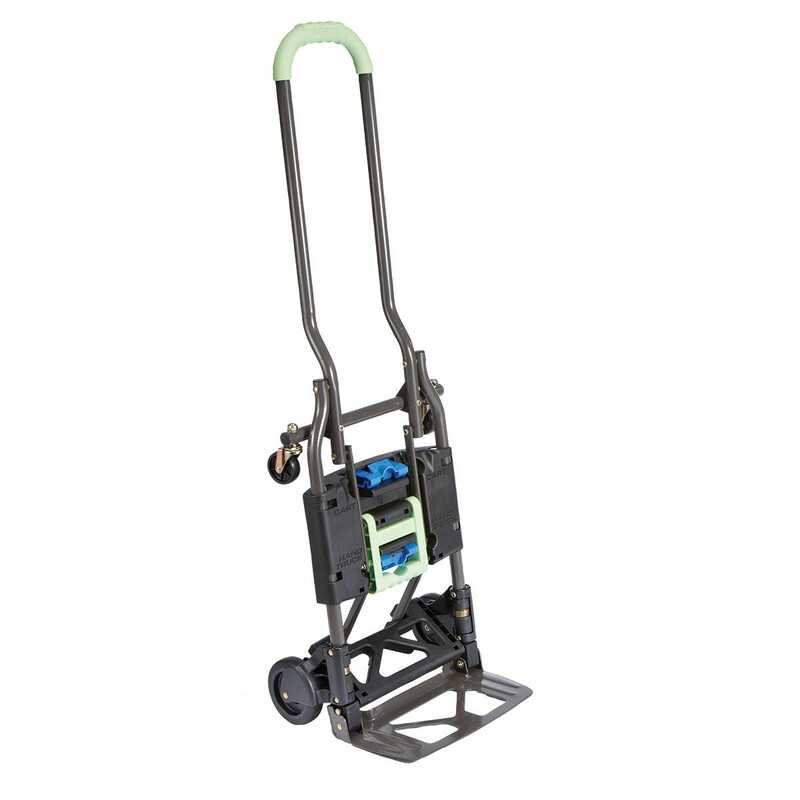 Flip the handle from cart to hand truck and it measures 17”l x 13”w x 46”h. 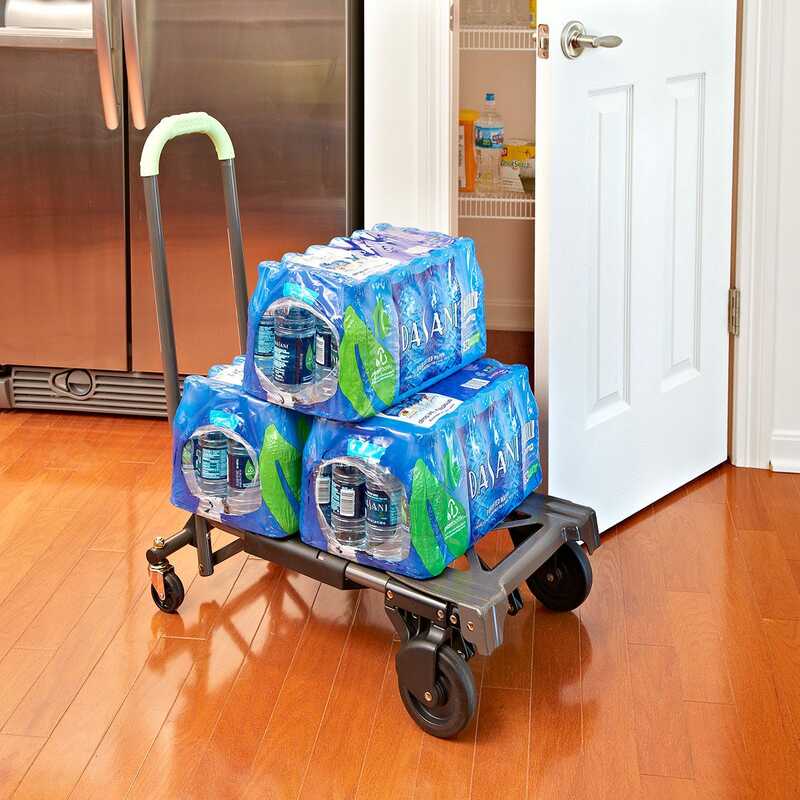 Store the unit easily by putting it back into cart form and pushing the Fold button in and pulling the handle down. 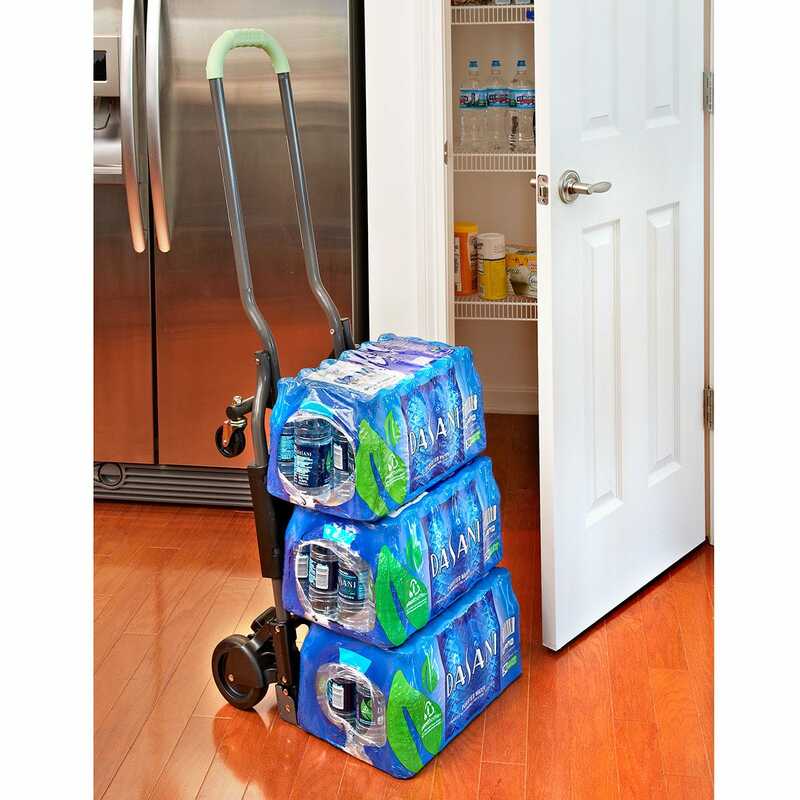 When folded the unit measures 14 3/4” L x 4 1/2”w x 31 1/2”h. Weighs about 16 lb. This is the coolest toy!! 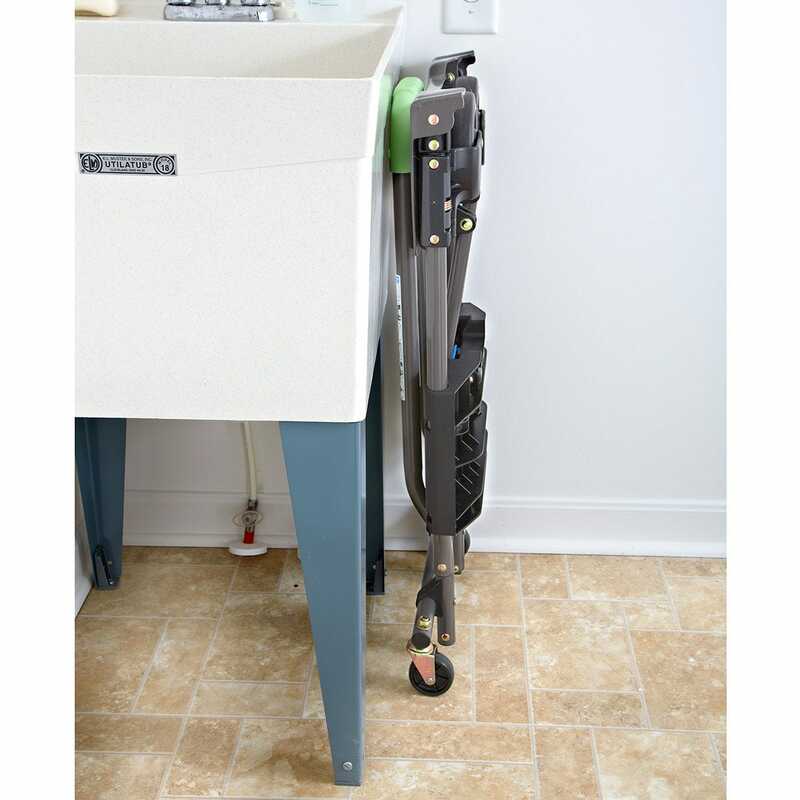 We have not used it yet, except to kind of play with it to test it out. It is awesome and we can't wait to really use it!! !